Dramatic cliffs at the coast of the North Sea near Lulworth Cove illuminated by the last light of the day. 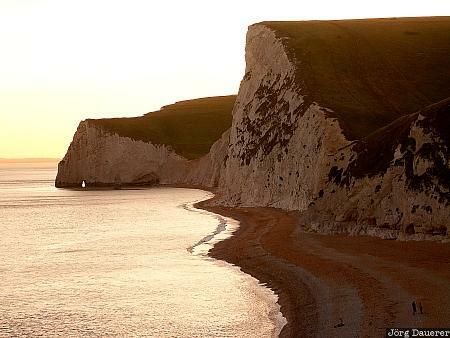 Lulworth Cove is in Dorset at the south coast of England, United Kingdom. This photo was taken in the evening of a sunny day in August of 2002. This photo was taken with a digital camera.